In early 2016, a newly established Haverfordwest Festival Committee approached the Confluence partnership looking for ‘family friendly’ art activities throughout a newly planned summer festival week. 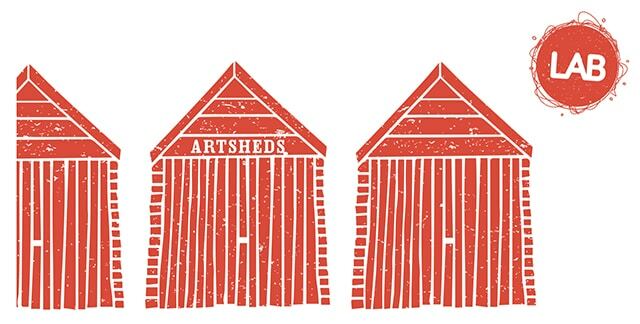 The Artsheds project was designed and produced by Pip Lewis from spacetocreate, one of the Confluence partners, in response to this request and created in partnership with Haverfordwest Town Council and Haverfordwest Pop‐up Studios and Riverside Shopping Centre. Three artists/artist collaborations associated with Haverfordwest Pop-up Studios submitted proposals for activities/interventions to engage the public, specifically children and their families, for a minimum of 25 hours during the course of the festival. The use of three six foot square pastel coloured wooden sheds was negotiated with the local authority and these were erected on three locations along the Riverside Shopping Centre for the duration of the festival which ran from Saturday 23 through to Saturday 30 July 2016. Over the eight days that the festival ran, 470 people participated and gave their contact details and at least as many took part without giving their contact details. Alongside other contributions to the Haverfordwest Festival Week, Artsheds opened the door to members of Haverfordwest Town Council gaining a greater understanding of what the Confluence arts and regeneration partnership is aiming to acheive. A number of Town Councillors subsequently expressed a willingness to support other arts activities, such as the River of Lights lantern procession as well as actively looking for opportunities to develop a more strategic approach to the planning and delivering of an annual programme of events in the town. The project also laid the seeds of a potential future collaboration with the development of an art installation arising from one of the Artsheds.